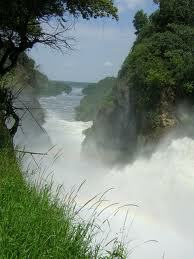 After your early morning breakfast at the lodge, you will depart with your packed lunch to the top of Murchison falls. You will enjoy the spectacular view of the water funneling into the 7 meters wide gorge that results into a water fall of great power, 40meters down. You will then leave the national park for Kampala, having lunch en-route in Masindi town. You will be dropped off at the airport or hotel. This entry was posted in Uganda Tour Packages and tagged bottom of the falls, launch cruise, lions elephants, murchison falls, top of the falls by Gorillas & East Africa Safaris. Bookmark the permalink.